Unusual fonts and fun typefaces are fantastic enough, but when you combine unusual typefaces with stop-motion animation you’ve got something really special. 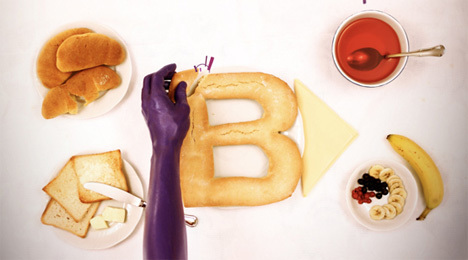 The Alphabet 2 project from Italian creative firm N9ve animates the alphabet in a delightful series of Helvetica letters. 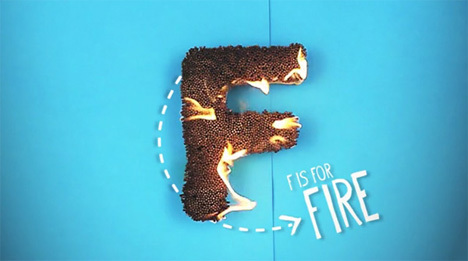 Every letter in the short animated video is part of a scene involving a word beginning with that letter. From anamorphosis to journey to yeti, each letter is carefully created in a wide variety of materials and animated in fun little tableaux. The short video is something of a recreation of the old hornbooks: primers once used to teach children the alphabet. If you ever need a refresher on your ABCs, this awesome animated hornbook might just be the best way to jog your memory…and even if you don’t, it’s a fun way to spend a couple of minutes.